We offer a superior quality range of Air Mesh Fabrics and have developed a huge customer base all across the globe. Our range finds wide applications in bags, Chair, Shoes, Gloves and children prams. These are also called spacers and are preferred mostly in the color Black. It ranges from anywhere between 160GSM and 210GSM 150cms width and can also be customized as per clients’ specifications. 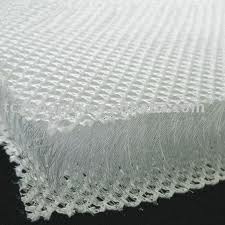 Our clients can avail from us an unparalleled range of Mesh Fabrics. The offered range is utilized in different application areas home furnishing, special costumes, cosmetic bags Air Mesh Fabrics manufacturer, and allied fronts. These products are best suited for stitching different dresses like modern sports jerseys, evening gowns, skirts, shirts and allied clothing article. This range is applicable in different coverings, protection, water proof, safety against pigeons / birds, air conditioners, Air Mesh Fabrics and similar tasks. We offer a superior quality range of a spacer fabric has three layers with monofilament yarns Spacer Fabric in manufacturer, standing between upper and backing fabrics. 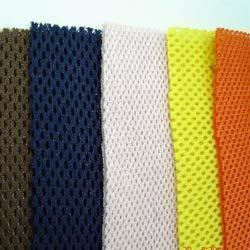 Air Mesh Fabrics supplier, Spacer fabric is not three different fabrics laminated. Looking for Air Mesh Fabrics ?